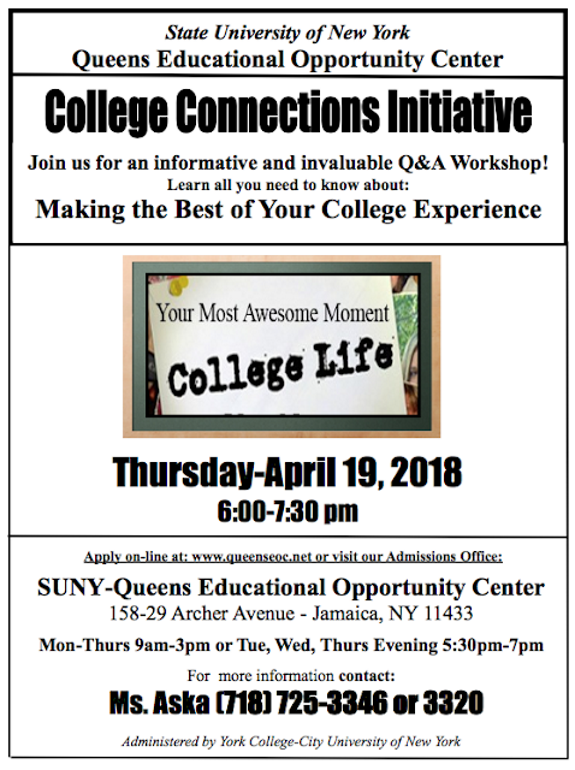 Queens Educational Opportunity Center is offering a FREE workshop on how to navigate the college experience. The “College Life” workshop offers prospective college students information on how to utilize the different resources available on your college campus. In addition, attendee will gain valuable insight into college norms and challenges. All members of the family are welcome to attend. For more information, contact Ms. Aska at (718) 725-3346 or 3320. Labels: All members of the family are welcome to attend.